There's positive news in this edition of our CO-Update, with Finland's discrimination of non-Jehovah's Witness COs being highlighted recently. Our affiliate there sees this as an important step in the struggle to abolish conscription as a whole. Specially written for this edition is an article about trends in conscription around the world. For many years, it looked like obligatory military service was on the way out. But in the last five years, the picture has changed: Norway has extended conscription for women; Sweden has reintroduced conscription for all; Ukraine, Georgia, Lithuania and Kuwait have reintroduced conscription for men after short hiatuses; Qatar and the United Arab Emirates have introduced conscription for the first time. We look at why governments are turning to compulsion in filling their armies, and what this means for pacifist movements. Changes are also threatened in Armenia, where students recently went on strike to protest proposed law changes that would make it harder for students to have their period of military service postponed whilst they study. This comes just after the European Court of Human Rights ruled in favour of conscientious objectors who were wrongly imprisoned for refusing military service before the rules around Armenia's alternative service were changed in 2013. In Paraguay, activists have rejected the creation of the National Council of Conscientious Objection, declaring that the Council is not constitutional and they do not recognise its authority. In Turkmenistan, for the first time since 2014, courts have handed down prison terms on young men refusing to perform compulsory military service on religious grounds. Conscientious objectors in Turkey and Ukraine have also faced challenges in the last few months. In both cases, we thought the threats against them had past. We also include a press release following the recent meeting of the European Bureau for Conscientious Objection in the buzzer zone between north and south Cyprus. 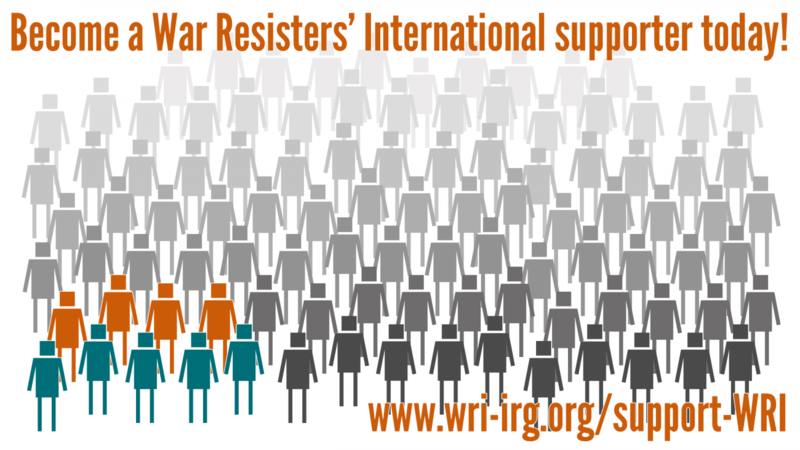 WRI has a commitment to sharing informing and educating people about conscientious objection around the world, to help people support and campaign for CO rights. To this end, we host a unique resource: the World Survey of Conscientious Objection and Conscription. In the last few months the reports on Bolivia, Chile, Cuba, Colombia, Germany, Portugal and Venezuela have been updated. There's also a piece about the 2014 change in conscription law in Venezuela, and the impacts of it. Finally, as ever we share our most recent CO-Alerts. Please sign up here to receive them as they come out if you haven't already. For many years, it looked like obligatory military service was on the way out. But in the last five years, the picture has changed: Norway has extended conscription for women; Sweden has reintroduced conscription for all; Ukraine, Georgia, Lithuania and Kuwait have reintroduced conscription for men after short hiatuses; Qatar and the United Arab Emirates have introduced conscription for the first time. We look at why governments are turning to compulsion in filling their armies, and what this means for pacifist movements. Serpaj in Paraguay have rejected the creation of the the National Council of Conscientious Objection (Consejo Nacional de Objeción de Conciencia) in Paraguay, and say they do not recognise their authority. The bill changes the law so that only students that agree in advance to sign a contract committing to serving in the armed forces for two years after they graduate will be granted a temporary exemption from conscription. The proposal inspired large protests at Yerevan State University, where 500 students went on strike on 7th November. We've updated our reports on conscientious objection and conscription in Bolivia, Chile, Colombia, Cuba, Germany, Portugal and Venezuela. A National Commission on Military, National and Public Service has been set up in the USA. Their mandate is to “to conduct a review of the military selective service process on draft registration” for the first time in decades, and also to determine “means by which to foster a greater attitude and ethos of service among American youth”. Whilst this might be precursor to increased militarism, it is also a chance for us to call for the end of draft registration. The European Bureau for Conscientious Objection (EBCO) held its 2017 General Assembly on 4th November in the UN buffer zone in Cyprus. The Assembly followed a press conference and a public forum held with the participation of conscientious objectors and peace activists from across Europe, as well as from the Republic of Cyprus and the northern part of the island. Ukrainian conscientious objector Ruslan Kotsaba may be subjected to persecution again, after having his 'guilty' verdict quashed in July 2016 after more than 16 months in prison. On 23 February the Helsinki appeal court decided to repeal a sentence given to a total objector by a district court. The objector said that his pacifist convictions were a reason for his conscientious objection. He had been sentenced for "refusal from civilian service". The appeal court decided that sentencing him would be discriminatory compared to Jehovah's Witnesses preferential treatment. Jehovah's Witnesses are exempt from military and civilian service in peace time. For the first time since 2014, courts in Turkmenistan have again handed down prison terms on young men unable to perform compulsory military service on grounds of religious conscience. South Korea: MMA publishes the personal details of COs. Again. In a move that could endanger conscientious objectors, South Korea's Military Manpower Administration has published the personal information of conscientious objectors in a public, online registry of draft dodgers. Venezuela's Law on Registration and Enlistment for Comprehensive Defence of the Nation was introduced in 2014. Read our new report on it here. In October, the European Court of Human Rights in a ruling on the case of in the case of Adyan and others v. Armenia, criticised the state's alternative service system (which was in place until 2013), arguing that it was not genuinely civilian, and amounted to military service - albeit an unarmed one. Astoundingly, two decades after his imprisonment, Osman Murat Ülke was summoned to the police station again this week by the prosecutor in Bilecik, who has reopened his case, and ordered him to make a statement at the local police station. A look at the CO-Alerts we've sent since our last CO-Update.